DENVER, Oct. 2, 2018 /PRNewswire/ -- Global sports entertainment leader Topgolf® has officially broken ground on its second Greater Denver location in Thornton. The new three-level, 65,000-square-foot venue is expected to open to the public in late 2019. "Denver is one of the largest metropolitan cities in the U.S. and has consistently ranked high on both quality of life and growth," said Topgolf Chief Development Officer Chris Callaway. "We opened Topgolf Denver-Centennial a little more than three years ago, and it has been extremely successful. We are excited to bring another Topgolf for residents in the northern part of the city to enjoy." "We are thrilled that Topgolf chose to build in the City of Thornton. We look forward to the high quality entertainment this company will bring to our community," said Thornton Economic Development Retail Administrator Julie Jacoby. "The addition of Topgolf to the North Interstate 25 corridor continues our focus on superior development in the City of Thornton. 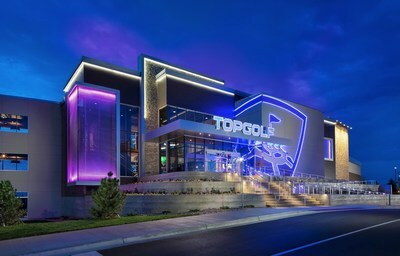 Topgolf is an elite entertainment venue and they are an ideal addition to the Larkridge retail and restaurant lineup at the intersection of Interstate 25 and Highway 7." 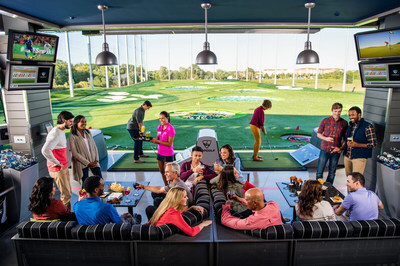 Topgolf opened a location in Centennial in August 2015, which now employs more than 500 associates. The new Thornton venue is located along Interstate 25 at East 160th Avenue. Topgolf will create 500 full- and part-time jobs in Thornton. The planned three-level venue features 102 climate-controlled hitting bays, a full-service restaurant and three bars, 250 high-definition flat-screen TVs, a rooftop terrace with fire pits, and 3,000 square feet of private event space. Approximately half of all Topgolf guests describe themselves as "non-golfers." Residents can track Topgolf's progress in Thornton at facebook.com/topgolfdenverthornton and @Topgolf on Twitter and Instagram.